THE first stage of the $550 million five-star Dusit Thani international resort complex at Brookwater has been given the green light by council and will feature a day spa, ballroom and a wedding chapel. Construction on the first stage is to start in weeks at a cost of $110 million and is expected to open in mid to late 2016. Council's Planning and Development Committee chairman Paul Tully said stage 1 of the Brookwater Golf and Spa Residential Resort proposed to develop 168 resort apartments. "Stage 1 also includes the central resort facilities including lobby, lounges, business centre and meeting rooms, ballroom, day spa, restaurants and retail tenancies, indoor and outdoor recreational and leisure facilities, as well as recreation clubs and a wedding chapel," Cr Tully said. "To achieve the potential for future stages of the overall resort development, council has approved an amendment of the Brookwater Master Precinct Plan." "As a result of the new approval, road networks will be upgraded for resort access," he said. Stage 1 will include an additional left turn lane in Tournament Drive at the Augusta Parkway/ Tournament Drive roundabout and Magnolia Drive will be upgraded with an additional footpath on the eastern side and street lighting. On completion Brookwater Golf and Spa Resort will have 520 residential resort apartments. 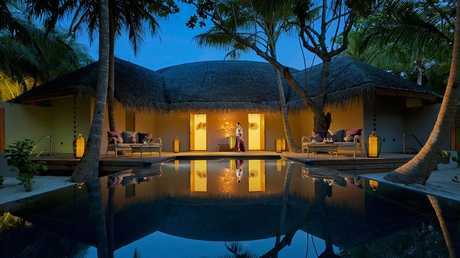 Cr Tully said the resort would be a major attraction for national and international visitors. "This resort is proposing to have world-class facilities, from a boutique cinema and luxury day spa to an aquatic and fitness centre with a 50m Olympic sized pool and crèche, pro-shop, café and crèche, tennis courts, water park, and lagoon pool. 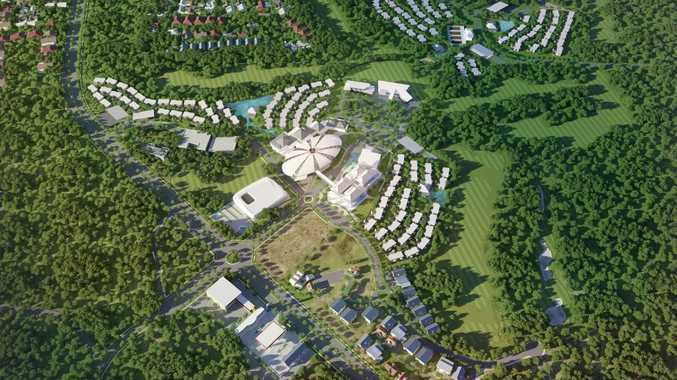 "The resort will also develop a 3000sqm convention centre which will be a fantastic facility for businesses hosting conferences, as well as major events." Division 1 Councillor David Morrison said the resort would also bode well with local residents, with a day spa, boutique shopping and restaurants. "This is not just a resort for golfers and corporate types, this resort is something the whole community can visit and enjoy," he said.